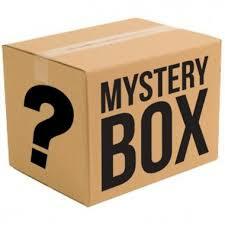 Unmanned Tech have thrown there hat into the Monthly mystery box arena with there C.R.A.P Box (Curated yet Random Assortment of Parts). This Box is very much focused on useful parts rather than Swag. Each month is themed, so you have an idea of what you are getting each month. Unlike other boxes it is not a subscription, which means if you don’t like the theme you do not need to buy it. Also uniquely, if you dont like what is in the box, you can simply return it for a refund. So you have almost no Risk. If you want to pick up a box click here. The Mystery box from Dronebit.co.uk Started in June 2018. The Box is a monthly Subscription and is normally delivered on the first of each month. The Box focuses on mainly parts and Swag for 5 inch Miniquad’s. 3 months with the Frsky X-lite.